This non-toxic bag is made from 100% biodegradable cornstarch polymer and labeled with instructions for use. 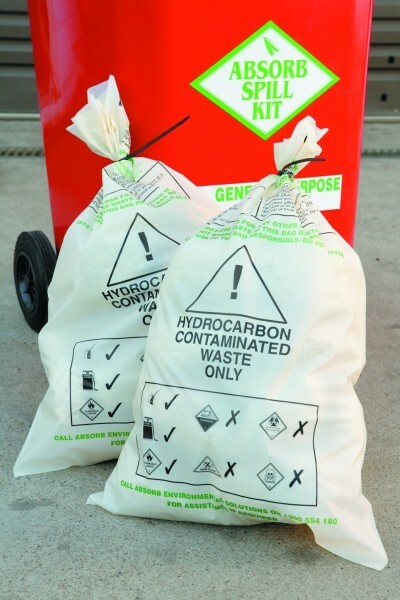 • Storage and disposal of spent hydrocarbon absorbent and contaminated materials. • Keep stored bags dry to prevent premature degradation. • For hazardous chemicals, use instead yellow waste bags.